It’s been a long time since the act of mixing a drink was considered a medical procedure, but in the early 19th century, it was a very different story. In the 1830s, malaria plagued French soldiers and colonials in North Africa. Quinine, extracted from the bark of the cinchona tree, was an effective treatment, but the substance was so exceptionally bitter that it was difficult to choke down. French authorities offered rewards to anyone who could create wine-based recipes that would help make the quinine more palatable. One of the first successful quinquinas, as the category came to be known, was developed by Parisian chemist Joseph Dubonnet. Introduced in 1846, Dubonnet’s quinquina had a bitter edge from quinine, but was also flavored with cinnamon, green coffee beans, orange peel and chamomile, and was fortified with neutral grape brandy. Embraced by colonials, Dubonnet soon became popular throughout France, and was marketed with a distinctive cat logo that attained iconic status. Similarly iconic was another French quinquina, Kina Lillet. First produced in 1887, Lillet was originally a bitter aperitif based on Bordeaux wines and flavored with fruit liqueurs. In 1986, however, the quinine level was reduced—giving the product a less bitter, though still engaging, citrus flavor—and the product was reintroduced as Lillet Blanc (a red version, Lillet Rouge, was introduced in the 1960s). For most of their history, quinquinas such as Dubonnet and Lillet—as well as brands such as St. Raphael and Byrrh, which are found primarily in Europe—were consumed as aperitifs, either on their own or lightly dressed with a slice of orange or a little soda water; however, they didn’t entirely escape the attention of mixologists. “There are recipes, primarily from the 1890s through Prohibition, in which quinquinas appear fairly sporadically,” says Martin Doudoroff, a New York-based partner in cocktaildb.com. Doudoroff says quinquinas played a role similar to that performed by vermouth in martini- and Manhattan-like drinks, such as the rye-based Opera Cocktail and the Deshler, but the wines also appear in more distinctive drinks, such as the gin-based Twentieth Century and the Corpse Reviver No. 2. Lillet even enjoyed a measure of fame as an ingredient in the Vesper, a gin-and-vodka drink detailed to a barman by James Bond in Casino Royale. Houston may not be expecting a malarial outbreak anytime soon, but with quinquina cocktails such as Midland’s Own on his bar menu, Heugel isn’t taking any chances. 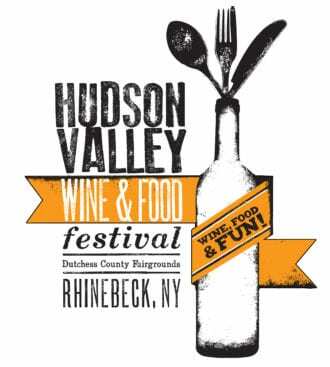 Hudson Valley Food & Wine Fest returns to Rhinebeck, NY on September 8th and 9th for it’s 17th year!